At long last! 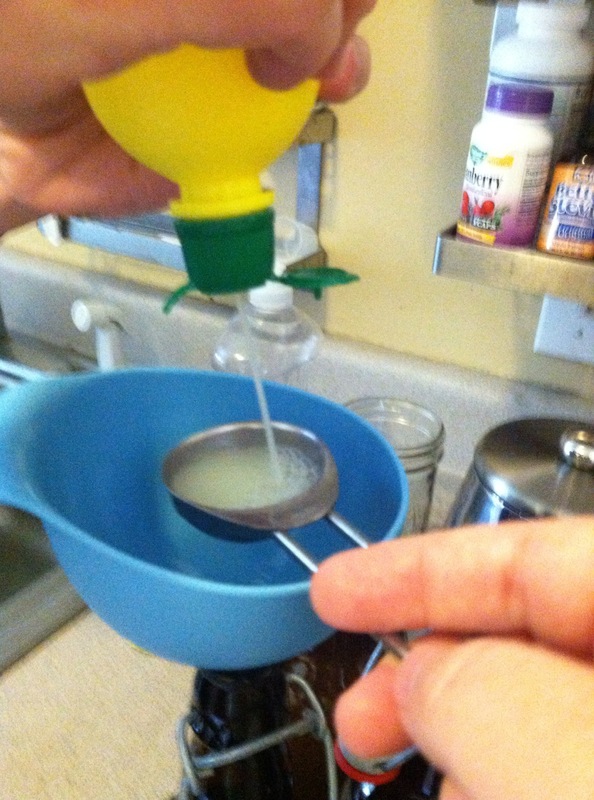 The awaited sequel to Milk Kefir–Water Kefir! Okay, so I’ve been doing water kefir for about two+ months, versus the two+ years I’d been doing dairy kefir, so please take that for what it’s worth. I’m not nearly the expert in this particular probiotic. 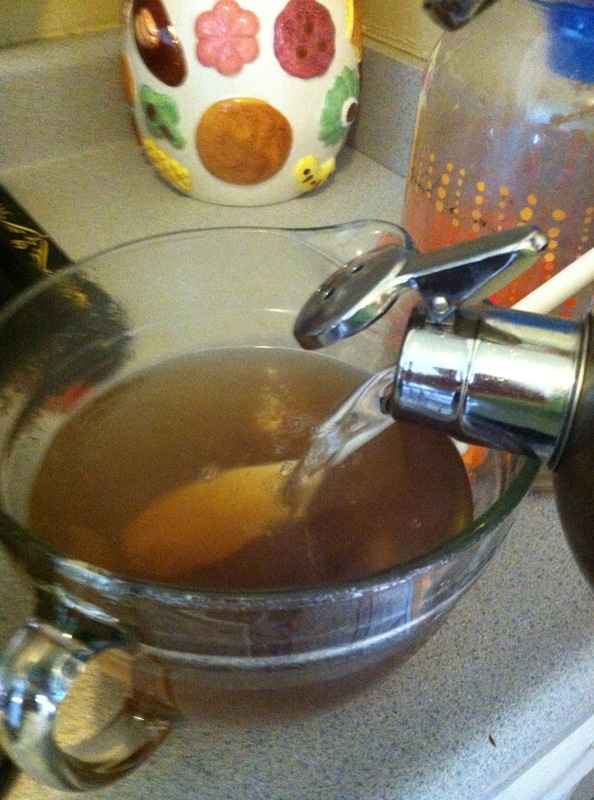 I have, however, managed to enjoy many batches of fizzy lemonade, so I think I’ve at least figured out the basics. A site like Cultures for Health, however, will have far more ideas and resources. This is simply a summary of what I do so that I can direct people here when I give them grains to get started. 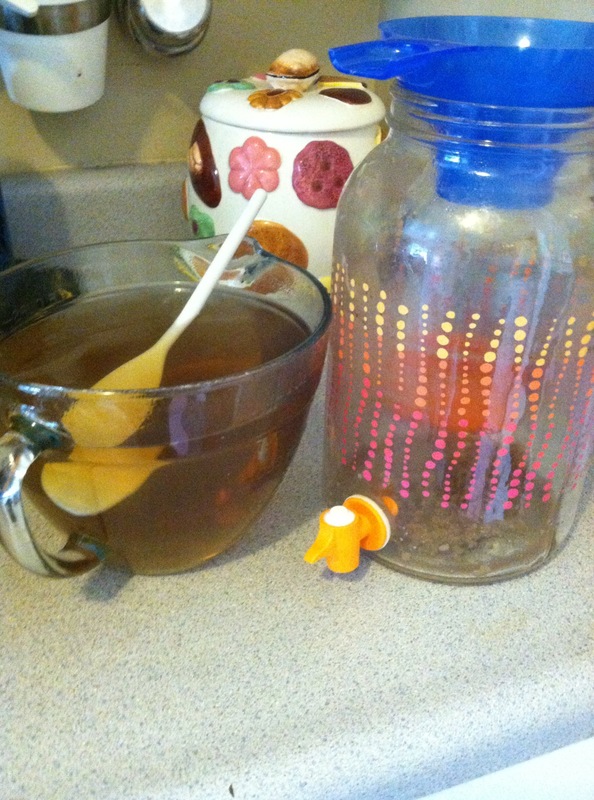 Water kefir utilizes sugar water, rather than the lactose in dairy that milk kefir eats. 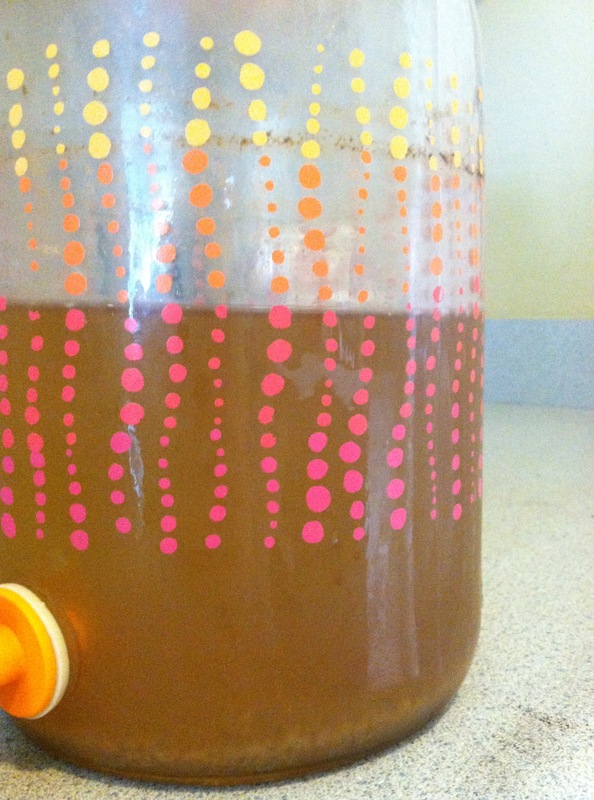 Water kefir is more particular about what types of sugar it likes than, say, kombucha. I’ve been using a raw turbinado about 75% of the time, and then sucanat the other 25%. The minerals in the sucanat help feed the grains. Alternatively, you can add molasses to white sugar. This particular batch I bottled today had been in the refrigerator, because I wasn’t ready to deal with it a few days ago. So the grains are not quite as plump as normal. Also, when they are sitting out and fermenting, you’ll notice the individual grains floating up and down in the liquid and some bubbling at the surface. 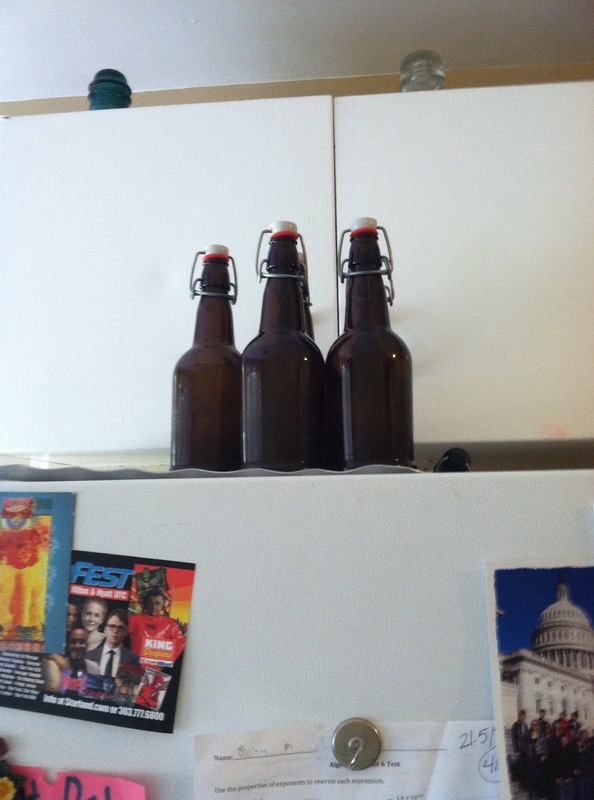 I bought these home brew beer bottles from the brewing supply store. They are great for getting a lot of fizz, but not strictly necessary. 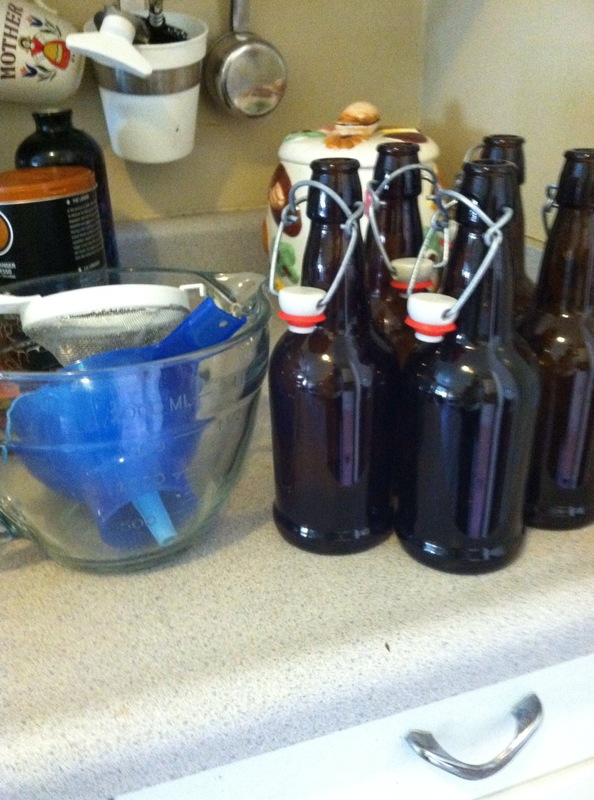 I’ve used canning jars and the Santa Cruz bottles that the lemon juice comes in as well. So, to start a batch you’ll need 1/2 C of grains, 1/2 C of sugar, and 1/2 gallon of water. 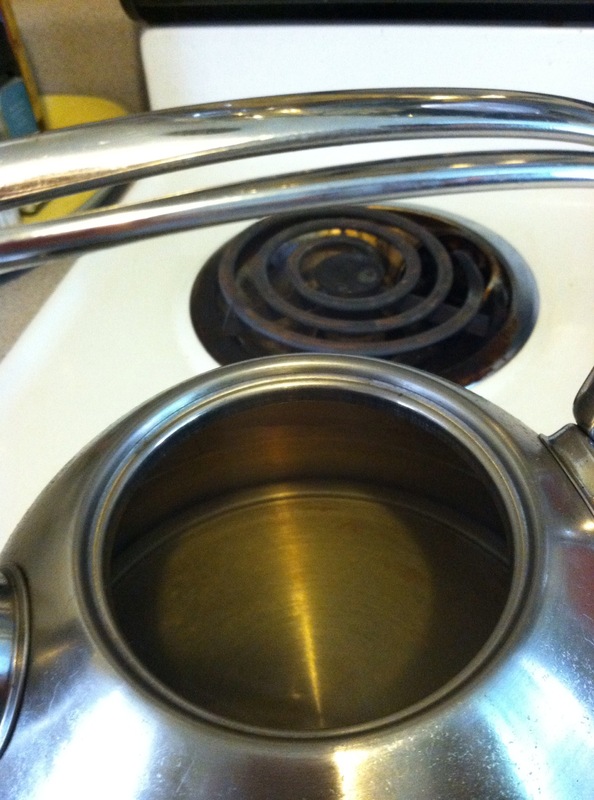 Water kefir grains could be killed by chlorine, so you can use filtered water or, like I do, boil tap water with the lid off the kettle for a few minutes and the chlorine will dissipate. I add the hot water to the sugar and let it dissolve. Leave this to cool down to no hotter than body temperature–you don’t want to cook your grains! Once cool, add the sugar water back into the big jar with the grains. This is the first fermentation, and should be left out (they say in a cool, dark place, but I put mine on top of the fridge) to culture for 24-48 hours. In all honesty, I usually do 48-72 hours, because 24 results in a too-sweet beverage for me, and I am often busy and don’t get around to it for 72 hours. I haven’t killed them yet. While the sugar water is cooling, I bottle my previous batch of kefir for the second fermentation. I use a little metal mesh sieve (kefir grains are not really supposed to come in contact with metal very much, but this doesn’t seem to bother my grains), a wide mouth funnel because it fits the sieve, and a narrow bottom funnel because it fits in the bottle. 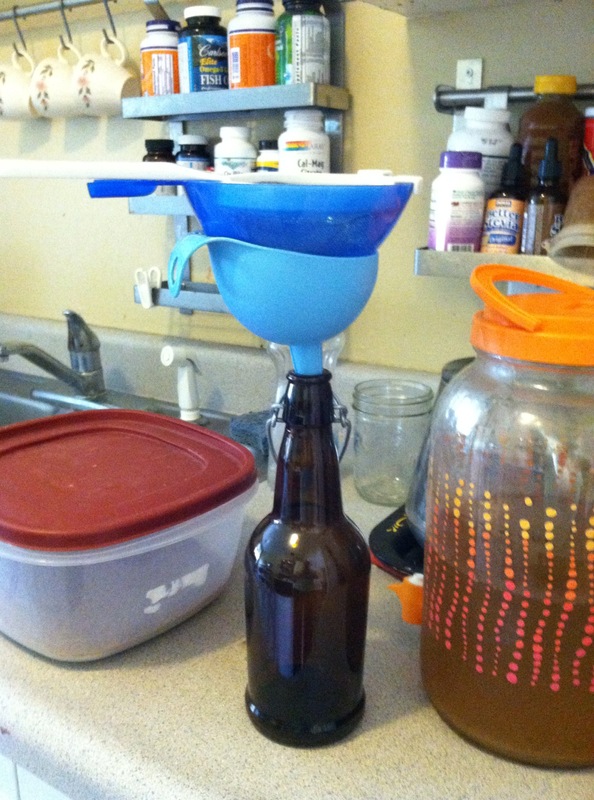 Pour slowly–it’s easy for the liquid to back up and overflow. After I’m done I put the grains back into the big jar and add the new sugar water (once it has cooled). Then I get ready for the second fermentation. Then you seal the bottles up, and keep out for another 24 hours for a second fermentation (there are no grains in the bottles at this point). When that’s done, put them in the fridge to chill and enjoy! You may notice floaties at the bottom of the bottle (much like you see with kombucha)–that’s totally normal and good. You’ll get quite a little pop when you open the bottle–I recently took a bottle in the car to share with a friend and it sounded like a mini-explosion. The fizz and a slightly yeasty smell tell you it’s fermented nicely. 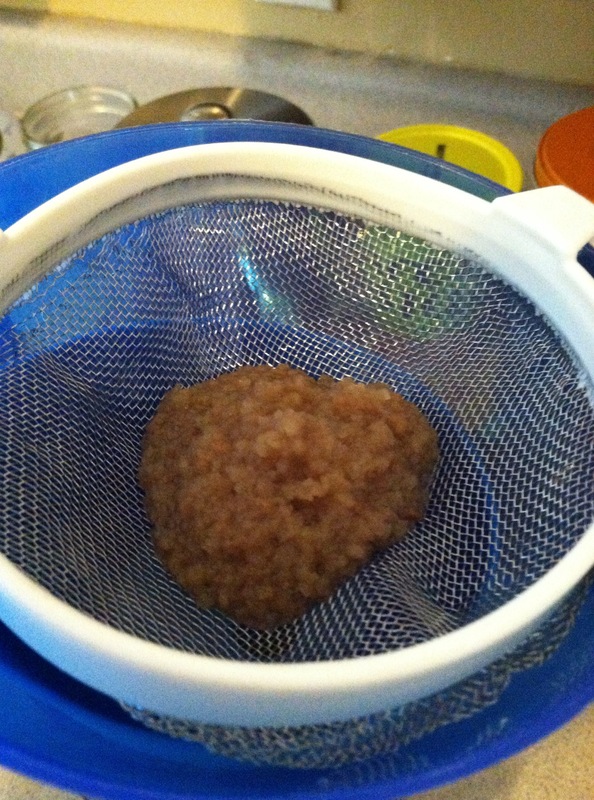 In general water kefir grains are not as prolific as dairy kefir. Update: I am afraid I am no longer able to share grains. Visit Cultures for Health for more information on where to procure grains.